HTC’s global market share in the smartphone arena is obviously running short of breath in competition with giant rival Samsung and other players, so the company has been rumored to be pinning its hope for a rebound on a tablet: the Nexus 9. Many indications point to the strong possibility that HTC would unveil the new Nexus tablet on October 15, Wednesday, and launch the beast in early November, most probably November 1 or 3. Since 2011 the Taiwanese manufacturer has been focusing on smartphones, leaving its market share in the tablet arena totally void. HTC’s comeback next month with a new tablet draws high expectations from tech pundits and consumers alike. The company won’t expect much revenue coming from the sale of the 9-inch Nexus 9 tablet as it is mainly intended to drum-beat its re-entry into the tablet competition, much like a free taste of what’s to come next. Google will also be in partnership with HTC on the new venture, since the two giants say they do not compete with each other. The companies therefore hope to have a long-lasting business relationship. It is also a win-win parternship for both Google and HTC because they will be able to reduce costs, scale their products and achieve efficiency in production. Moreover, given the relatively skimpy global tablet market share of HTC, its only hope is pinned on the partnership with Google to boost its campaign. That is particularly so because its market share has long been eroded by new, yet bullish entrants to the market and the existing titans like Samsung and Apple, though there are arguments over the market dominance of iPads. Plus the market has been oversaturated with other cheaper brands from China, which nevertheless appeal to users in emerging economies, where price matters a lot. The rumor mill has it that Nexus 9 will run on the equally much awaited Android L. Nexus 9 is expected to set you back $399, way more expensive than the legacy Nexus 7 which was released in 2013. But HTC will surely make the Nexus 9 launch an appetizing showcase of it can do next with the succeeding tablet products. 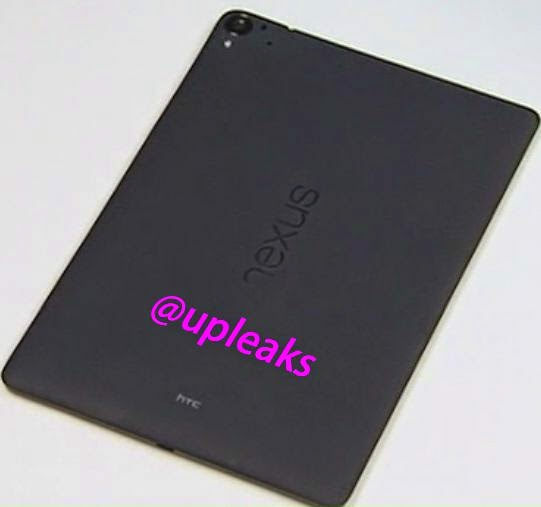 The rumored tablet is also expected to pack increased memory and power that bears much resemblance to the PC in terms of performance, as it features a 64-bit Android L.
Still according to reports, Nexus 9 will first hit UK shelves, particularly in major retailers like B&M, Best Buy and the Google Play online store.